We at Golden Star Moving deliver premium service through our commitment to quality and accountability, for your moving and storage needs. Our longevity provides us with the expertise to partner with you, share valuable insight regarding relocation and record management logistics and processes, and ensure that your requests are met from beginning to end. Our dedication to employee training and development at the local, regional and national levels allows us to achieve our goal in delivering customer satisfaction. We know there may be other elements outside of your move that demand your attention...we're here to demand our attention to you. 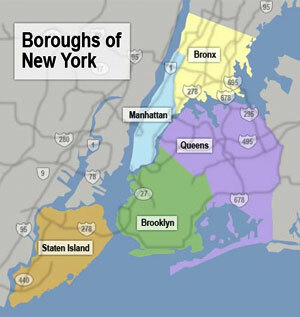 Golden Star Moving is equipped with its own fleet of tractor-trailers and premier team of movers. 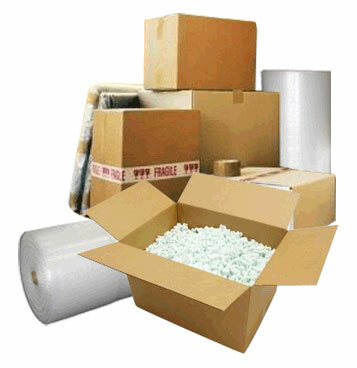 We provide quality service at cost effective rates so that we can alleviate the stress of the move and on your wallets. 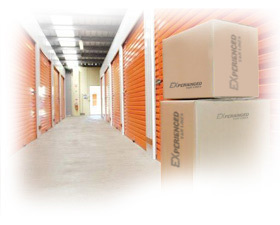 Choose Golden Star Moving & Storage for your relocation and storage needs. This is my first ever Yelp review, which I am compelled to write because of how awful this company is. Do not use this moving company. They are scam artists. 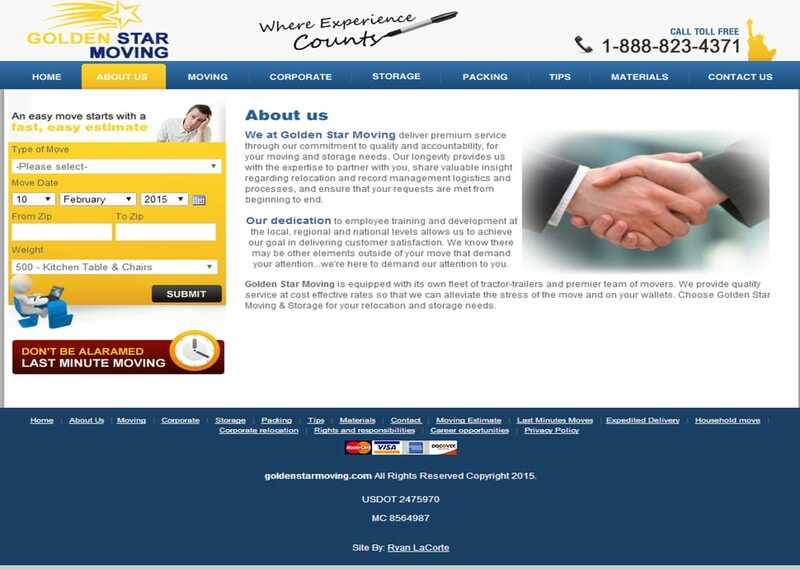 We used Golden Star Moving for an interstate move because they were a relatively cheap option. Communication was terrible throughout the move-- they didn't call us to tell us when they were coming and when they were late to deliver, no one could tell me where my stuff was for more than a day.The real kicker: The movers extorted me for $500 extra to move my boxes up 48 stairs, even though the stairs were included in the WRITTEN contract. We were in a stand off, so we called customer service. Customer service acknowledged that the stairs were already included in the estimate, but they said "well.. unless you want them to take your stuff away until we sort this out I suggest you pay them and we sort it out later". So I paid them. The following few days, I called customer service to sort out the money. Customer service screened my calls.. I literally had to borrow my friend's cell phone and call from a different number. When I called from a different number they picked up right away, but got angry/hung up when they realized who I was.As you can guess, I never got my money back. Please-- do not use this moving company. It was truly one of the most frustrating experiences of my life. I strongly recommend not booking a move through Golden Star Moving Company! Although I generally prefer not to post bad reviews for any business, I feel compelled to briefly share my absolutely awful experience with Golden Star in hopes that others can avoid having a similar experience. At the time I booked my interstate move, I was repeatedly assured that my belongings would be delivered within 5 days of pickup notwithstanding the fact that the standard quote provides Golden Star with additional time. However, despite calling multiple times per day after the 5th day, my belongings did not arrive until 16 days after pickup! Worse yet, throughout this 16 day period, Golden Star refused to provide me with a firm delivery date until approximately 1 hour before my items arrived.Further, when I would call to ascertain the location of my belongings and when they would actually arrive, I was repeatedly advised that the items were "on their way" or given other information that I believe was untruthful. When I would ask to speak with the manager, she quickly began refusing to accept or return my calls. On other occasions, I was put on hold for extended period of times (up to 20 minutes). Collectively, I would estimate that I spent hours simply trying to find out where my belongings were and when they were going to be delivered. Because I could not obtain any reliable information during this 16 day period, I was often left wondering whether my items had been lost/destroyed and consequently, whether they would ever actually arrive.Also, because the insurance policy only provides for 6 cents per pound for damage, I was forced to rent "crates" for specific items that were precious to me. Although I was billed an additional $330 for these "crates," I never saw any such crates when the items finally did arrive. Of course, multiple items were damaged during the move. While the stress of an interstate move is already significant, Golden Star made my move significantly more stressful through what I believe to be false promises, rude behavior, and atrocious customer service. In closing, I strongly recommend against booking a move through Golden Star and encourage others to share any similar experiences they've had with this company.